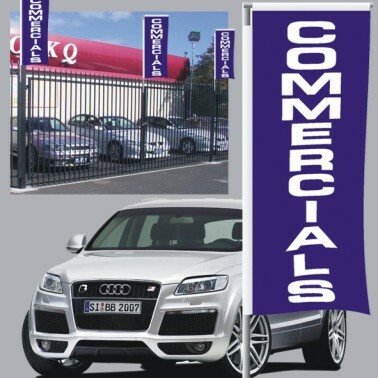 Attract attention with these giant flags! 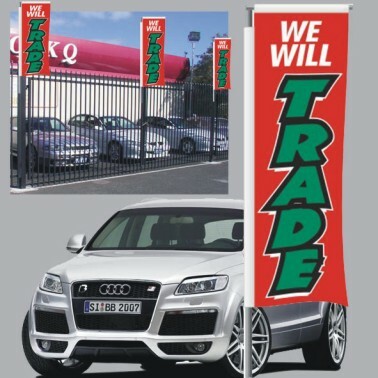 Draw attention with minimal effort with these giant flags that stand approximately 3 metres tall! 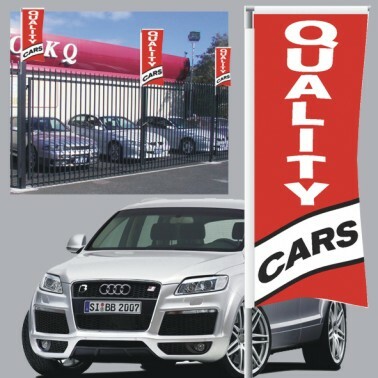 Each single sided polyester flag is 1800x700mm and has two sewn sleeves that easily slip over the specially designed flag pole. 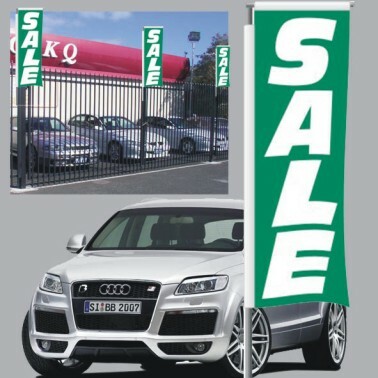 Super Seller flags are available in 21 different eye-catching designs and 12 colourful designer styles. 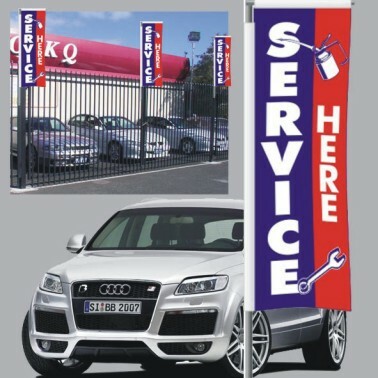 Great for the front line or highlighting any vehicle. 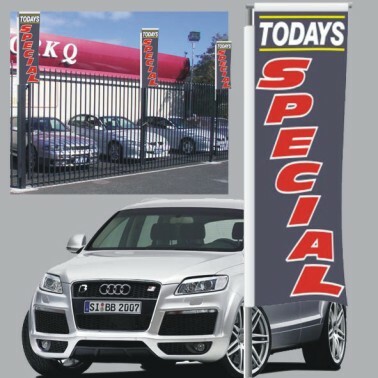 The unique design allows this flag to "fly" even when there is no wind. 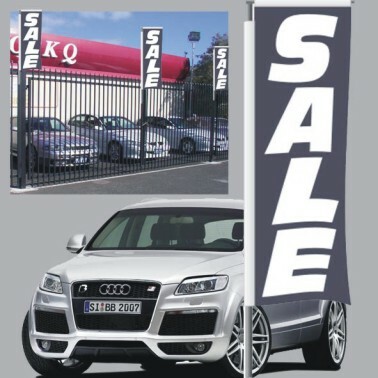 The Super Seller Vertical Flag rotates into the wind. The Super Seller flag is great for attracting attention for your business, it is always flying, even when there is no wind. 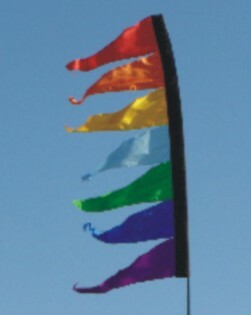 The top arm rotates the flag in the wind. 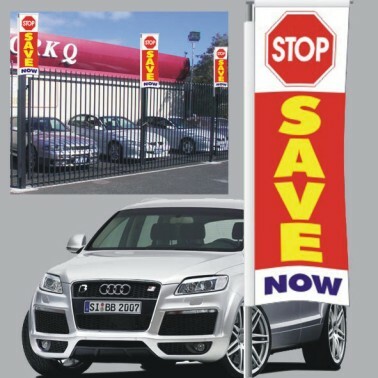 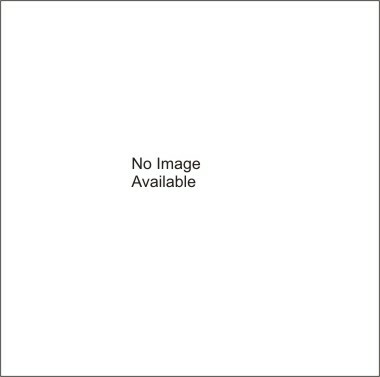 The Super Seller is made of knitted polyester and is 700x1800mm high. 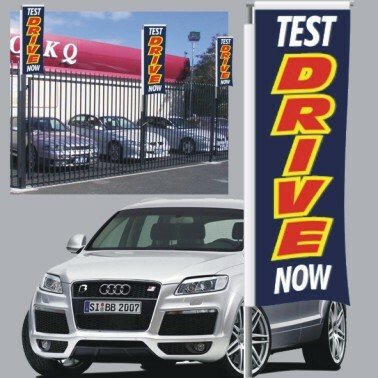 Complete with two sleeves it slips easily over the pole set. 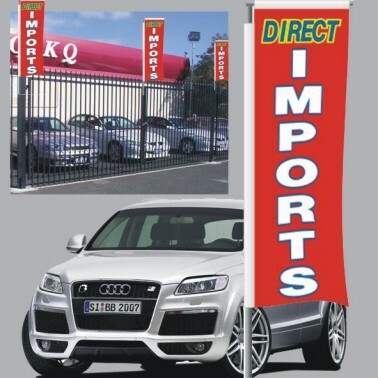 Please see our flags poles and accessories for coordinating pole sets and bases. 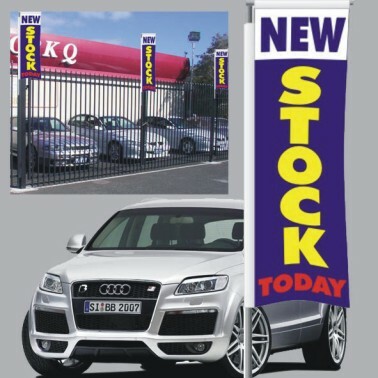 Super Seller Flags are a vertical flag, made from knitted polyester, size 700mm x 1800mm. 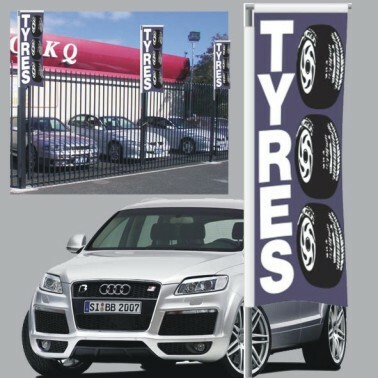 With the standard pole set available, this flag stands 2.5m high. 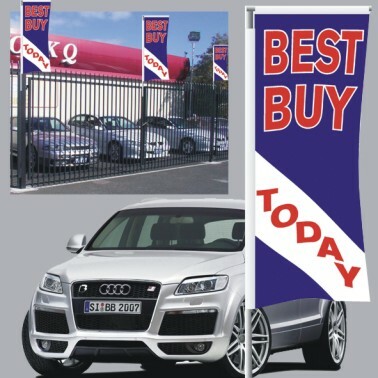 The top arm will keep your flag out and flying, even in little or no wind. 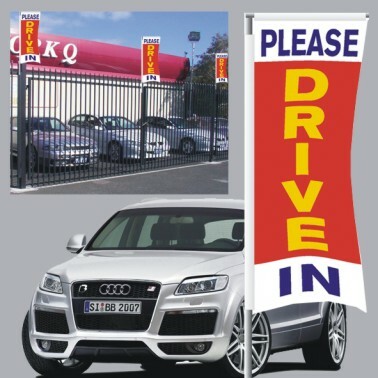 Please see our flags poles and accessories for coordinating pole sets and bases. 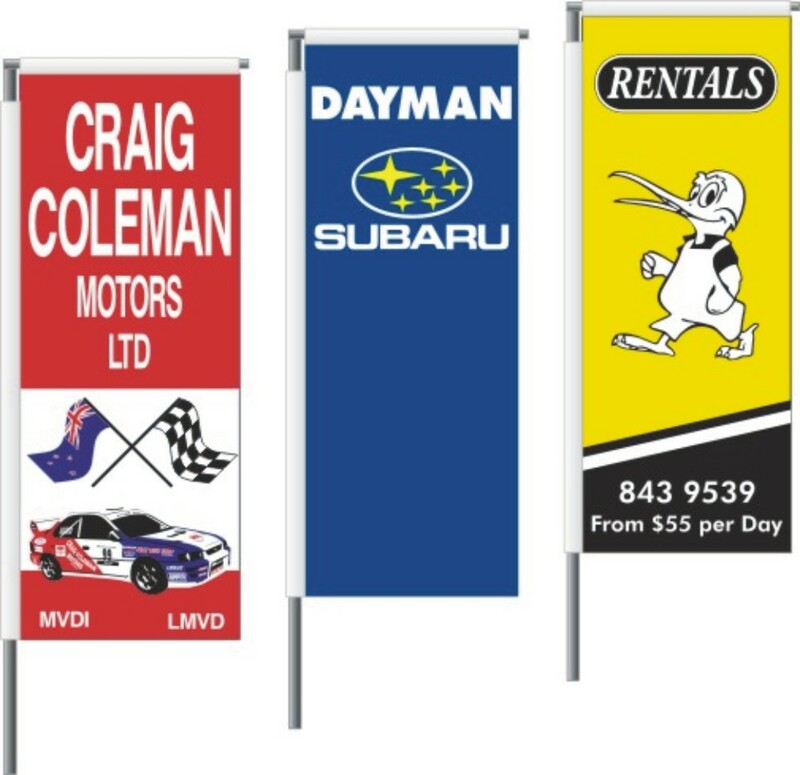 We can custom print the Swooper flag in any design and quantity you require. 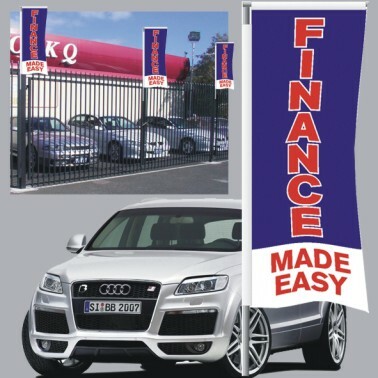 How about your business logo on a flag? Events or trade show coming up? 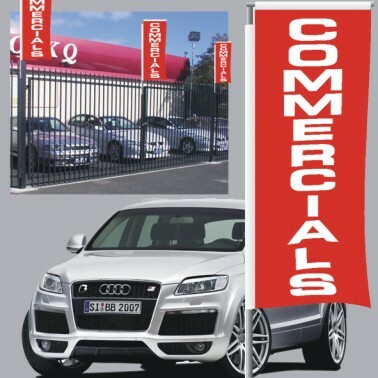 Flags with your logo on them are the perfect branding to attract clients to you. 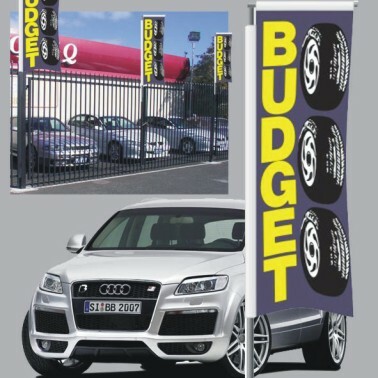 Please see our flags poles and accessories for coordinating pole sets and bases. 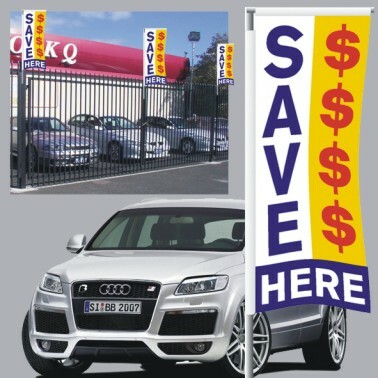 Starting from $118.00* for screen printed flags (*minimum quantities apply) and from $230 for a digital printed flag.